Advertising: Reasons & Info - Mma Ramotswe Rules! Remember, to feel great about yourself by helping fund girls' education in Africa, you click on one of the ads AND buy something from the advertiser. Don't forget, click and buy. The only exception from the 5-10% amount we receive is OnlyOffice, which provides us with 50% of whatever you spend on them after clicking on their ad on our home page. ﻿﻿Good on you, OnlyOffice, particularly for understanding not all websites are cash cows for the private pocket. Oxfam, the Aussie version, which sells free trade organic rooibos (ie, rooibos that is both!!). the independent Australian/New Zealand (actually NZ, but us Aussies always take credit for good NZ things!) book and organic free trade rooibos tea merchant (when it's in stock!!) Fishpond, the Aussie version. This mob do free postage to Australia. BUT NOT to New Zealand! Nope, I don't know why either. We shouldn't mention it (! ), but people from other countries (including NZ) can get free worldwide postage from www.fishpond.com. For some reason, this latter version of Fishpond doesn't allow affiliate contacts, so if you go through them Camfed won't get a cracker, but such is life! Come on Fishpond, what the heck's going on? Aussie Health Products, which supplies organic (which is NOT the same thing as free trade, necessarily) chai (spiced) rooibos tea, including loose leaf. Oddly, when I check (irregularly, I admit), they don't supply plain rooibos. Oh, and they charge for delivery. Unfortunately, Amazon cancelled my affiliate arrangement because I initiated it while in the writing stage of my website, and didn't get it up and running with enough buyers for Amazon's satisfaction. I'm still a bit urined off about this, so haven't tried again. I actually have a helluva time getting US affiliate status with possible merchants because of the US tax requirements, which, frankly, I can't for the life of me figure out. Yeah, yeah, I know, but I'm a bloody historian and writer, not a bloody accountant! 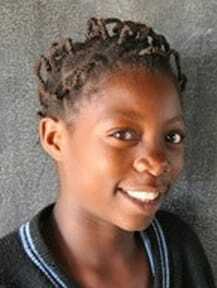 Camfed﻿ funds education programs for girls in Africa. It uses over 90% of its income for charitable programs - a remarkable proportion in the world of charities, many of which are rip-off, quite a few downright fraudulent, and, incredibly frighteningly, some of which are fronts for paedophiles. In case you haven't noted it, we have a page of extra stuff about Camfed. We are pushing rooibos tea which is both fair trade certified (including Fair Trade, Utz, ETP, and Rainforest Alliance, which are differing versions of similarly intended things - if there are others, let us know), and organic certified. The Khoisan people (sorry, we hope we've not used a wrong name, if we have, please let us know) first discovered how to make rooibos tea ("rooibos" or "red bush" is Afrikaans, we don't yet know what the Khoisan call it, Ms Google has been no help so far, but we will try and find out - if you know, please give us a hoy). It may cost a bit more, but to these people it is their life - literally! Hence the focus on free trade and its variations. Note our page of extra stuff on rooibos.